Today I met up with Marlow Mum Penny Ross. 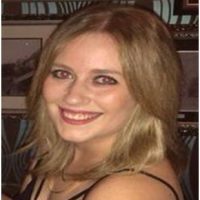 I chatted to her about her struggles with her weight since she had her first child and how she has managed to lose nearly 3st by using The 1:1 Diet by Cambridge Weight Plan. 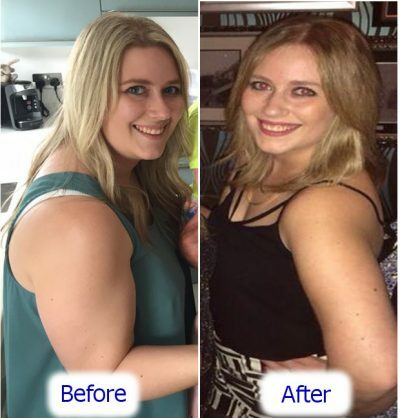 She has been so convinced of its effectiveness that she quit her full-time job to pursue a career helping other locals to achieve their weight loss goals. Read her candidly honest story. want to leave! My husband is born and bred in Marlow, so it felt like the right decision to move into already familiar grounds. Not only that, it was a place I saw a future for a family when we came to have one. What led you to start a weight loss plan yourself? I actually started the plan 6 months after I got married. Normally brides lose weight before their wedding, but I did it the other way around. I remember feeling so deflated looking at my wedding photos, knowing I could have done something about my weight and didn’t, so enough was enough and I wanted to make the change. Particularly because we wanted to start a family at some point, and I didn’t want extra weight to lose on top of my current weight! Why did you pick the Cambridge Weight Plan and how does it work? A few of my friends had done the plan and had unbelievable results and I just had to find out more about it. I had tried every diet you can think of, but nothing really worked for me or had enough structure for me to stick to. The plan consists of 6 different steps ranging from 450 calories up to 1200 and are made up with our meal replacement products such as shakes, bars, soups, meals, smoothies and even chocolate puddings! and in a healthy way. This is absolutely key on our plan to ensure that you maintain your weight loss. If you just go straight back to consuming the calories you were before and not changing your eating habits, the weight will, of course, pile back on. Where are you on your personal weight loss journey? I lost all the weight I needed to prior to falling pregnant (which happened only 3 weeks after coming off plan) and then I unfortunately put on 4st 7lbs due to health reasons in my pregnancy. I was gutted; however, I have lost all but 10lbs of that weight that I put on and it’s all thanks to this amazing plan. In the first couple of years after having my son, I yo-yo dieted again and tried all the usual slimming groups but again, it just didn’t work for me, so I got back on plan with my consultant and shredded the weight in no time! Quitting your job to start your own business is a big step, what inspired you do this? Last year was a real turning point for me – I was so unhappy with my weight, my job, my mum guilt of working 5 days a week (and long days at that) and not spending any quality time with my son. Weekends consisted of doing the chores round the house and cooking, spending some family time together but also trying to chill out as I was my only couple of days off from a hectic job. I felt selfish and guilty and I piled the pounds on at work as I was so unhappy. I put on 1st 6lbs over the course of 6 weeks at work as I would reward myself with food to make me feel better for having a rubbish day. I had to do something to change this so I spoke with my consultant who I had been seeing years before, went to see her and started the plan again and discussed how unhappy I was in my current job and that had a huge part to play. I wanted so badly for flexibility and with school looming later this year for my son I wanted a change in career. She talked to me about becoming a consultant and from that day, I never looked back. We sat and filled out the application form, I went on my training day and started to build up my clients and then I decided to resign. It was a big step, but I knew this was what I wanted to do, and I haven’t regretted it once. So, is there a possibility for other mums to become consultants to enjoy the part-time, home work life balance you have? Absolutely! I salute all mums, whether they are working 9-5, 5 days a week or just part time with the odd few hours here or there, whatever they’re doing, they are making things work for them and their families. Being a consultant, for me, is all about having a passion for helping others, being a support and a role model. Having done the plan in the past and successfully losing the weight, I can relate to the battle others are and have been going through. Being relatable is really important as clients need as much support as possible. Being a sponsor and helping others become consultants is just as rewarding as you know you are changing other people’s lives to give them flexibility in their home-work-life balance too. What’s great is, they become their own boss, they are self-employed and they build their own client base. It’s as easy as that! What do you love most about your new job? Ultimately, my clients. I love meeting new people and helping support them on their journey. I am always at the end of the phone if they need me and that is one of the things that is thrown in for free with this plan… me! My clients see me every week for a one to one appointment, we weigh in, we take measurements and we talk about their week. We make small goals and we achieve them, together. I work from my office in my home in Marlow but if more convenient, I also offer a mobile service where I can go to the client instead. The reward for me as their consultant is indescribable and seeing the change in them is what makes this job an absolute dream. Not to mention the home work life balance I now have! I feel happier now in life than I have in years! Just for fun – what are your top 3 things to do with your family in and around Marlow? We do love a good coffee shop that’s for sure and we have one or two of those in Marlow so it’s nice to try them all out – and sample the cakes (my husband and son of course, not me… well… only on a special occasion)! We are so very lucky to be by the river and having Higginson Park on our doorstep is just something not to be taken for granted. We spend a lot of time in the park, feeding the ducks, having picnics in the summer and going for long walks down to Hurley. These are my favourite times, especially in the Spring/Summer when it can really be appreciated! Lastly, it’s all about exploring for us. My son loves being outdoors and particularly in the woodland, finding small creatures, animals and dens to build so we enjoy going to Marlow Common quite a bit too. If you would like to get in touch with Penny to find out more about how she can support you in weight loss and the 1:1 Diet by Cambridge Weight Plan she would love to hear from you. Penny is currently offering a March incentive for new clients – successfully complete 4 weeks on plan with her and get the 5th free!